1/2 size Frich Pfretzschner made in Germany in June 1966. 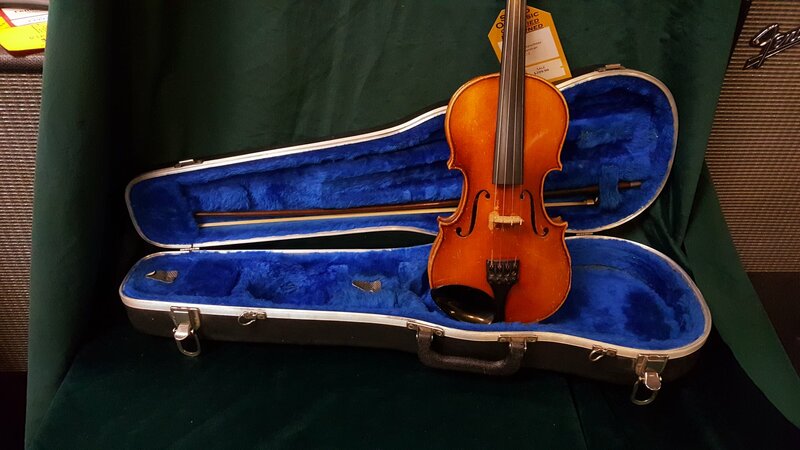 Includes bow and case. Shows wear due to age and heavy player wear.